Gap Will Split Into Two Companies; Old Navy Will Be A Separate Firm Gap also said it plans to close about 230 stores over the next two years. The moves are the latest signs of turmoil in the retail industry, as Sears and other chains struggle to stay afloat. Gap Inc. said Old Navy and the rest of the Gap brands have been attracting different customers and require different strategies. Gap Inc. plans to separate into two publicly traded companies, spinning off Old Navy into a separate firm as it closes about 230 Gap stores over the next two years. 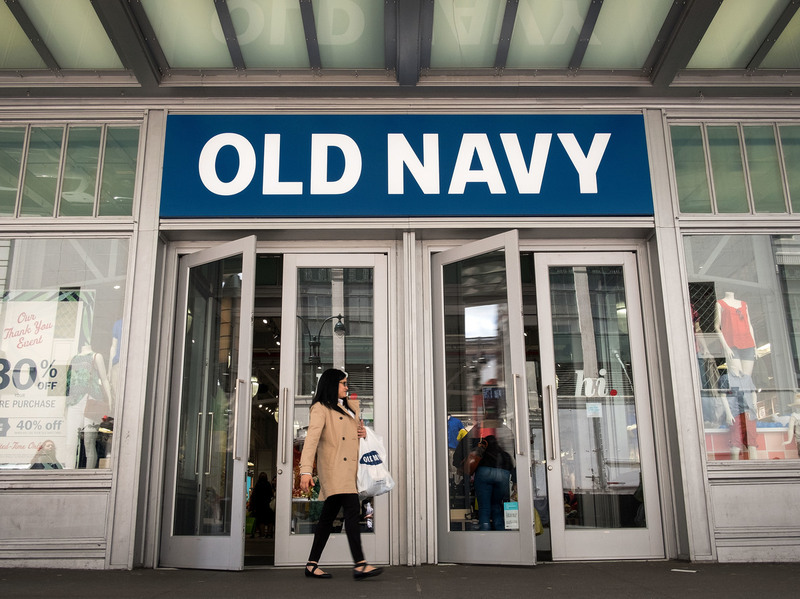 As Old Navy becomes its own company, the other company, which has not been named yet, will consist of the Gap brand, Athleta, Banana Republic, Intermix and Hill City, Gap Inc. said. The moves announced Thursday are the latest signs of turmoil in the retail industry, as Sears and other chains struggle to stay afloat. Old Navy has been the strongest brand for the parent company, accounting for nearly half of annual revenues. Old Navy is the No. 2 clothing brand in the U.S., according to Gap, as it has carved out a niche targeting shoppers with discount deals that compete against off-price clothing stores like T.J.Maxx. In a statement, Gap Inc. said Old Navy and the rest of the Gap brands have been attracting different customers and require different strategies. "It's clear that Old Navy's business model and customers have increasingly diverged from our specialty brands over time, and each company now requires a different strategy to thrive moving forward," Gap Chairman Robert Fisher said. "Recognizing that, we determined that pursuing a separation is the most compelling path forward for our brands — creating two separate companies with distinct financial profiles, tailored operating priorities and unique capital allocation strategies, both well positioned to achieve their strategic goals and create significant value for our customers, employees and shareholders." The company said the closure of 230 Gap stores over the next two years will cut sales by about $625 million annually. Denim will remain the core and "the essence" of the Gap brand, Gap executives said on a call with investors. Gap shares were up about 25 percent in after-hours trading Thursday.